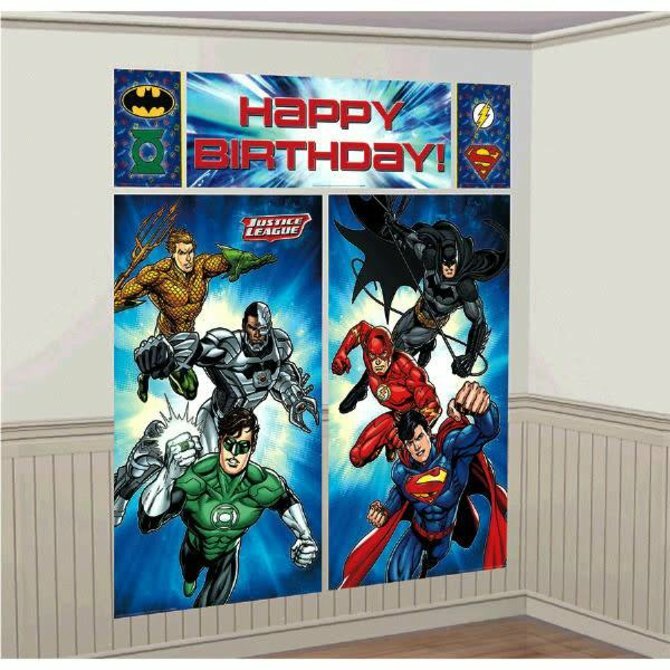 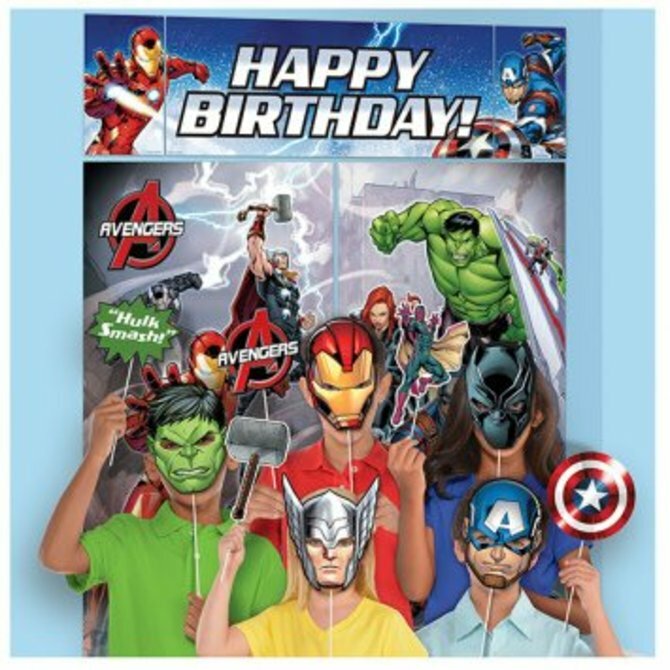 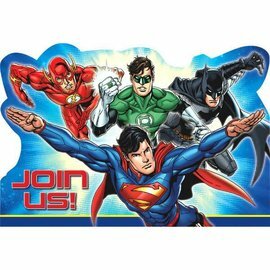 Justice League™ Postcard Invitations 8ct. 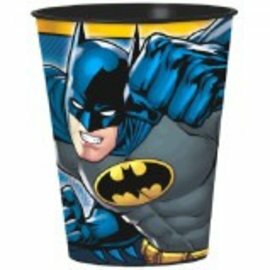 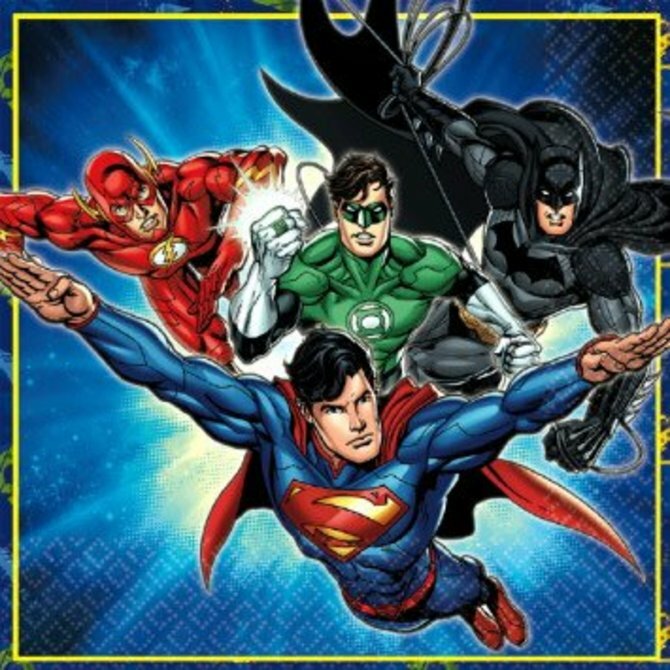 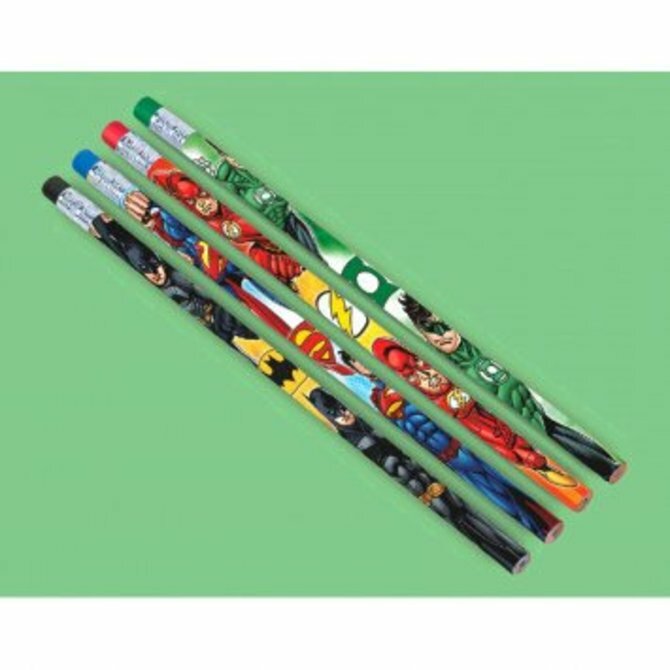 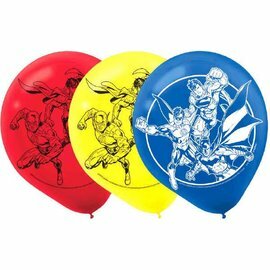 Justice League™ Tattoo Favors 8ct. 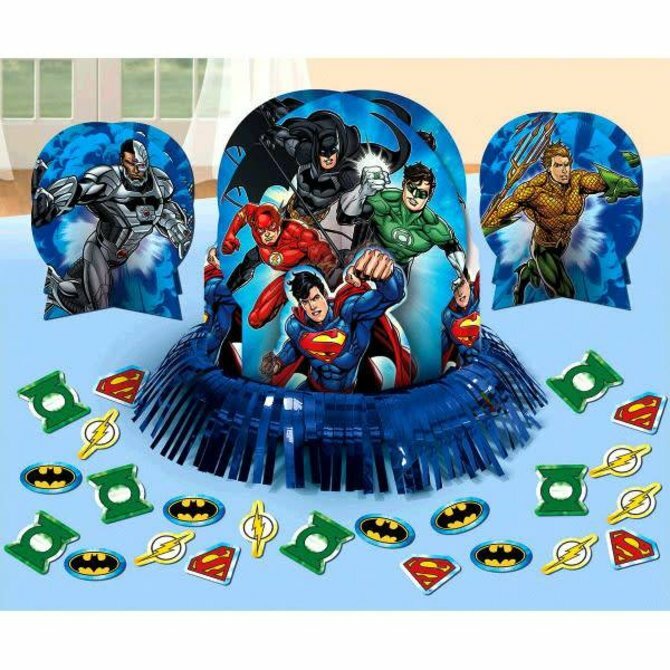 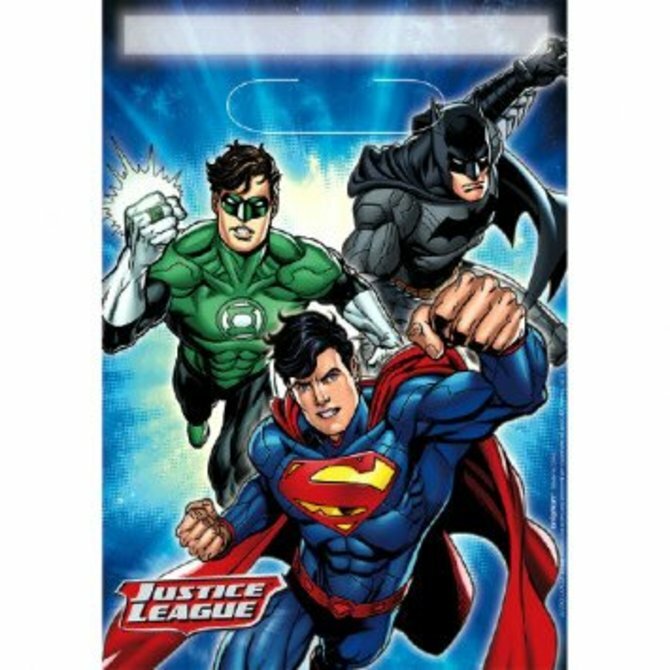 Justice League™ Folded Loot Bags 8ct. 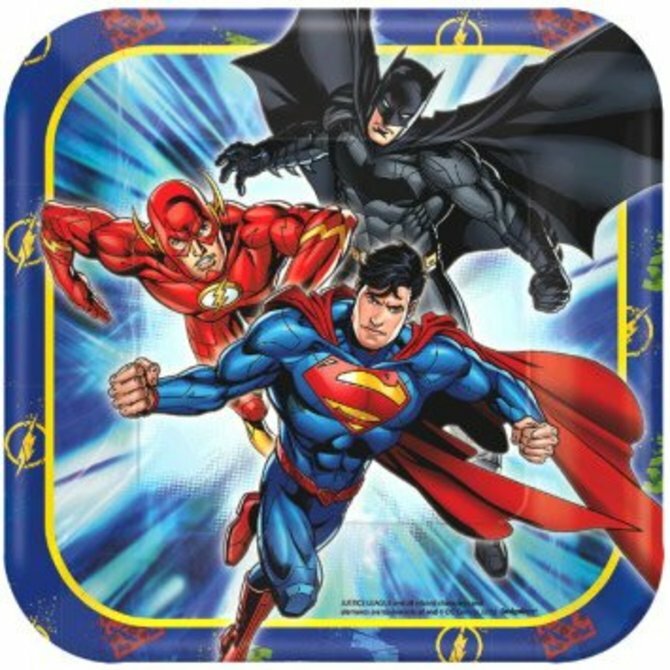 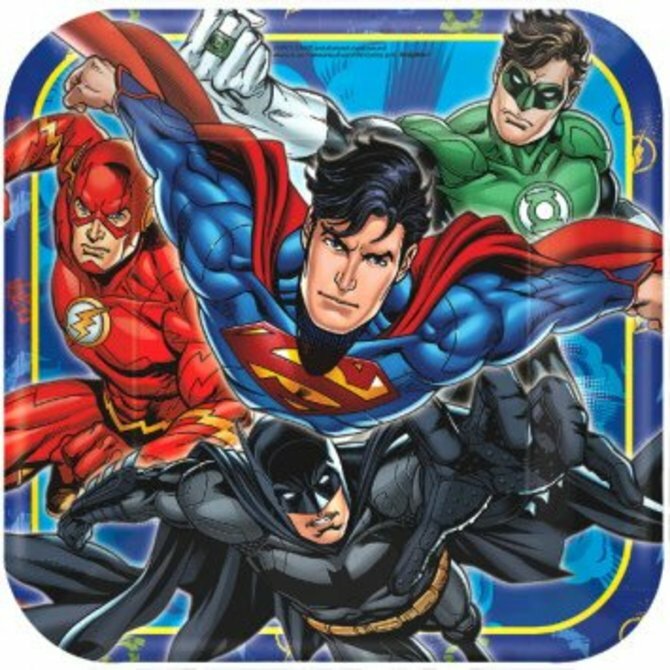 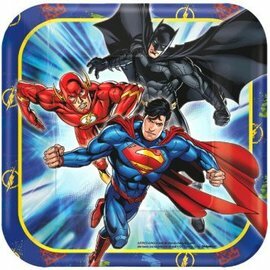 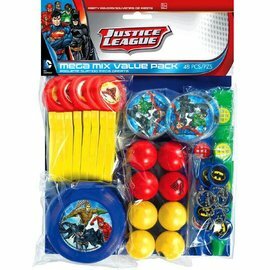 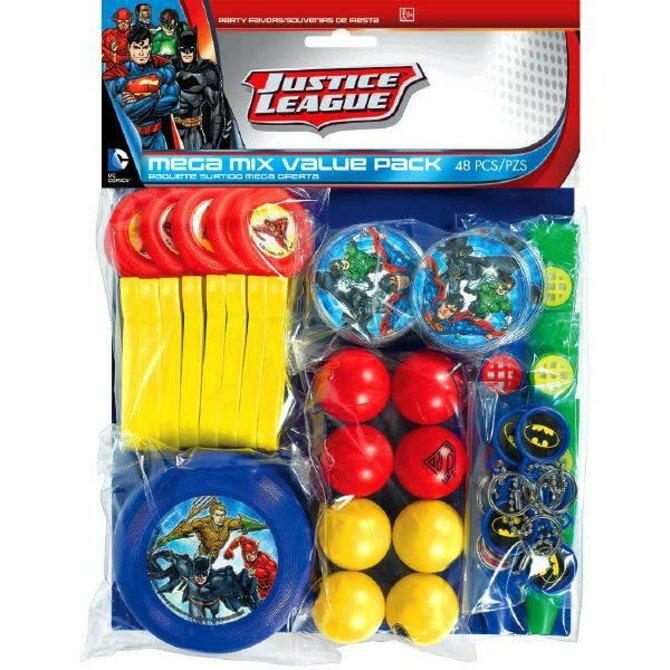 Justice League™ Square Plates, 9" 8 ct.
Justice League™ Square Plates, 7" 8ct. 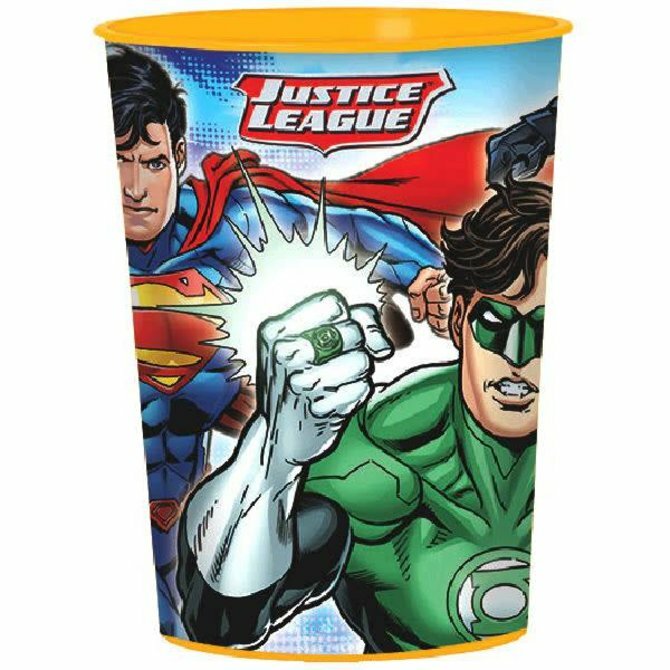 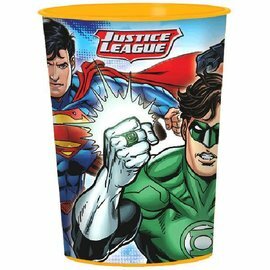 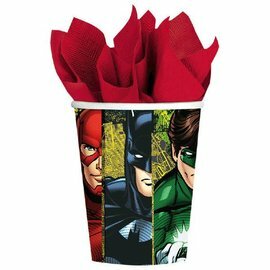 Justice League™ Luncheon Napkins 16ct. 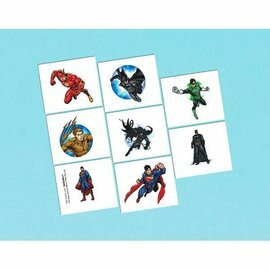 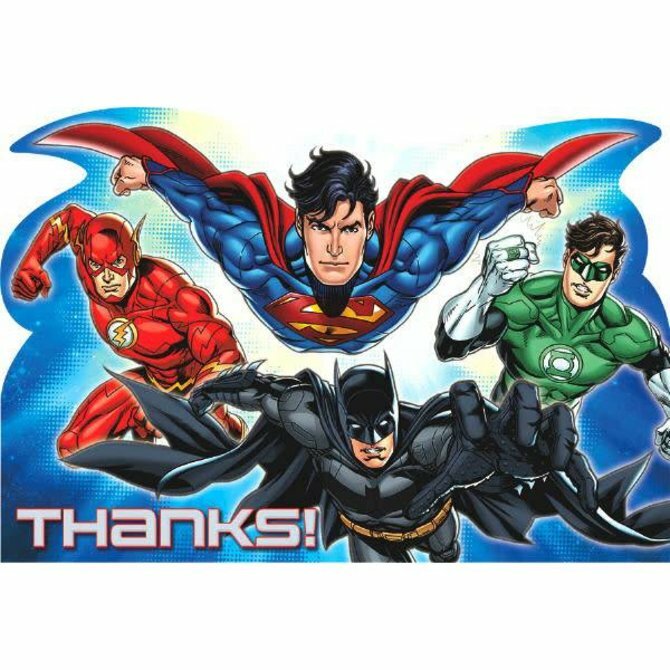 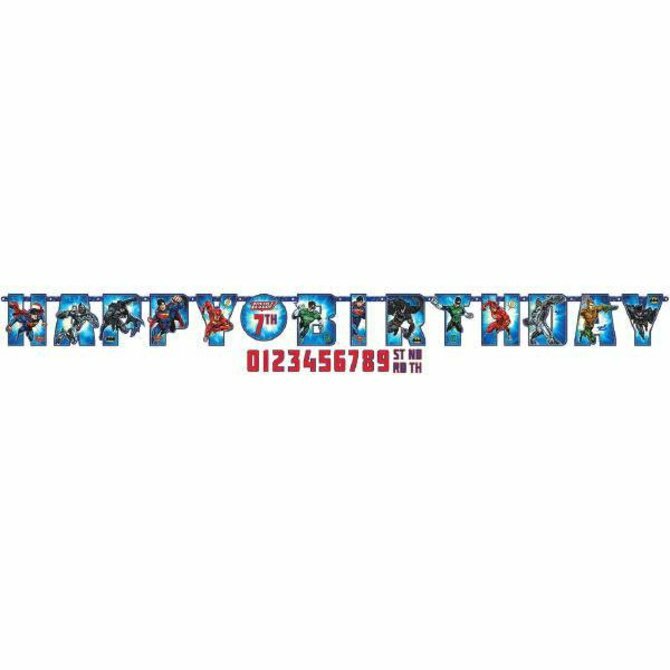 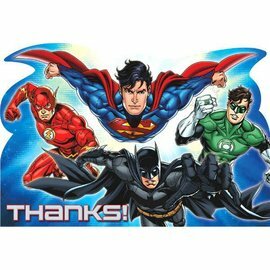 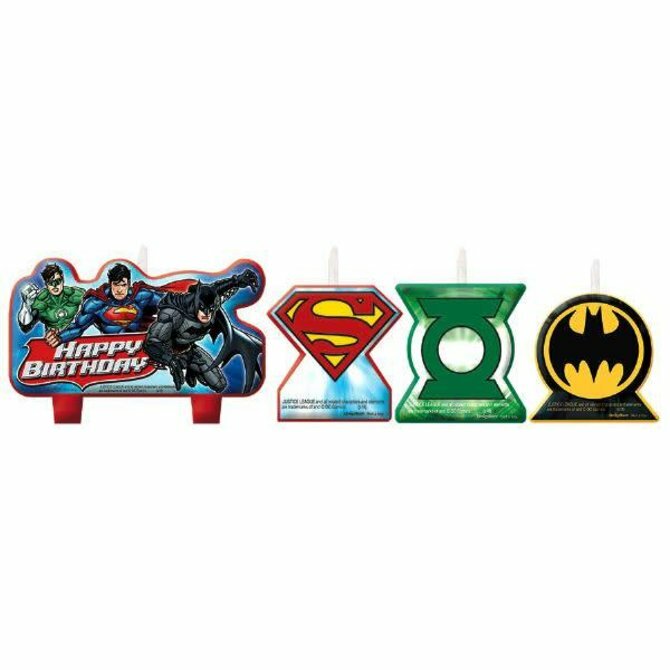 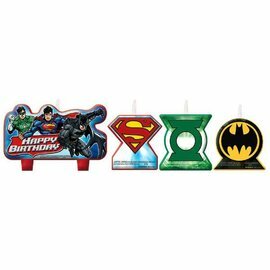 Justice League™ Postcard Thank You Cards 8ct.